I am going through a bitter court battle right now as self represented. My new spouse is keeping my file for me. She is such a blessing to me, the best example of a perfect wife a man could ever have. Forcing someone to be your friend, lover, girlfriend, spouse etc. through emotional attachment, anger, sadness, playing the victim, false accusations, lies etc. is a very dangerous position to be in for the real victim. Although fooling friends, family and acquaintances may work for some people and you may initially get away with it, eventually at least some people will get wise to it. Although I don’t personally recommend this, some people spend their whole life savings on fighting against this injustice. I think the best way is to try to get along, protect yourself against this type of domestic abuse/violence (narcissistic behaviour) by not becoming bitter. Understanding that the man or woman or spouse who is putting you through this is sick and needs therapy. Spend as little as possible, love your kids as much as possible and jump off the court battles and fights as soon as you can. Pray, be happy, keep your faith, be strong, don’t take anything personal, and make wise decisions. When you don’t react the way a narcissist predicts or wants, they lose the battle. This way, you always win because you have your peace intact, money in the bank, a loving, affectionate relationship with your kids and a healthy family environment for your kids before, during and when the court process is over. I went through a divorce 10 years ago. My ex-husband remarried immediately and I stayed in the house, which the judge ordered to be sold when my youngest turned 18. I repeatedly attempted to sell the house but my ex-husband would not cooperate, nor did he initiate a sale. I really wanted to relocate and live in a place that was my own, that was not co-owned with my ex-husband, who was controlling me through his total neglect of the situation, hindering me from moving forward. I filed a Motion of Contempt, expecting the court to intervene and uphold, somehow, my desire to sell the house and move, bringing closure to a circumstance that had caused me deep distress. The housing market had affected the value of the home, leaving it upsidedown, thus the court could not order its sale, essentially forcing me into bankruptcy as the only option, which is where I’m at now. Throughout this time, my ex-husband had poured a great deal of time, money, and energy into fixing up the house he bought with his wife. As an engineer, he could have helped with improving the property we owned together so it could sell, but he simply ignored the situation, the suffering it was causing me, and my numerous attempts to get out. He hired a high-powered lawyer to combat my Motion, which I ended up having to drop. I didn’t have anymore money to continue the court case, or the finances to maintain two places of residence. The judge had tied my spousal support to the house, and once the house was sold, instead of my support being in the form of a mortgage payment, it would go directly to me, and I could use it to live where I wanted to. 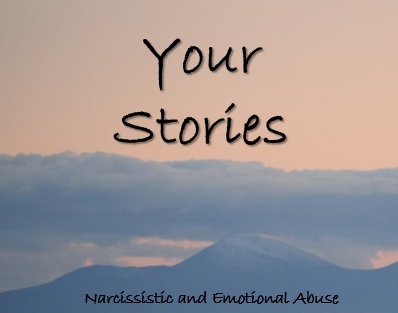 It all came to nothing, and the whole situation was just a continuation of the same controlling financial abuse I had suffered within the marriage. I’ve been divorced for ten years, but I haven’t felt free because he won’t let go. I have prayed so much about all of this, hoping to get out. I’ve never filed bankruptcy before and really don’t have a good understanding as to how to navigate all this. I wish I had someone to help me through this as its left me quite depleted, lacking the kind of strength and initiative I feel I should have to make this happen, because I need to get out of here. It’s not a good situation. I do not want to become bitter, and I keep holding on to my faith, trusting and believing that somehow this will all work together for my good. I’m thinking the Motion I filed wasn’t the best route to take although I saw this as a legal matter. But the law was powerless to affect the change in my circumstance that I sought.